Travelling in itself can be a very daunting thing for some people. It’s the idea of not knowing; fear of the unknown. This is because when you travel, essentially you’re going to a new country, with new surroundings, new people, new languages, and new food, and that can be rather overwhelming because of the drastic difference. Having said that, it’s also what makes it so much fun, and that’s why for a lot of people, once they start travelling, they just can’t stop. You catch a bug that drives you to want to explore and uncover new things that you would’ve never even come across in your daily life. It’s a way for people to escape reality for a while, by in fact, facing other realities. You see how other people live, you learn about their culture, and you retain so much from that-that you will never be the same again – for the better. You will grow as a person and have new found appreciation and acceptance for things that you maybe didn’t have before. 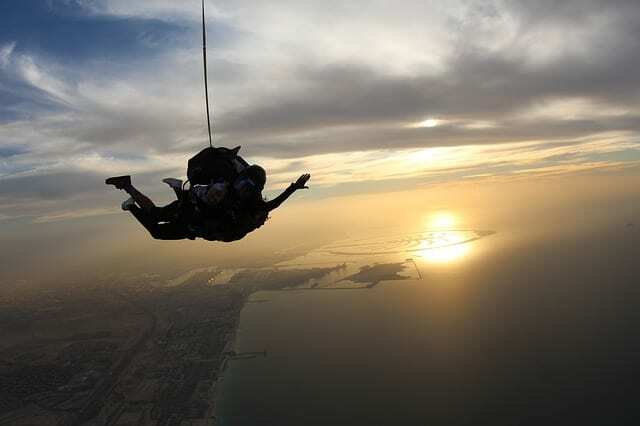 Part of learning more about yourself and following this journey of self-discovery, is to also push the boundaries a little by doing things that scare you, like climbing up one of the biggest mountains in the world with an Everest base camp, or free falling out of an airplane over the luxurious city of Dubai. It may sound crazy, but here’s why. What better way to build your confidence, than by doing things that you may have never thought you could? We are our own worst enemy, and the reason we tend to hold ourselves back from doing things (even the things that we want) is because of ourselves. There is always something in the back of your mind that will have doubts and start sparking the what-if questions, and that can be very hard to ignore. But the more you start leaving your comfort zone, the more you show yourself just how strong you really are. As humans, we are prone to getting fairly bored. We get bored of our environment and the daily things that we do, and that always ends up having a slight negative effect on the mind because you begin to feel as though there is nothing more out there. But there is, and by doing some frightening things once in a while will just remind you of that. That rush of adrenaline will let you know that you’re still living, and you have so much more to do. Life is all about making memories, but over time, these can be forgotten unless you document them somehow by taking photos, videos, or keeping a journal. But when doing things that are rather scary and out there, there isn’t a lot of chance that you’re going to easily forget. And one day you will be able to look back on your life, and have all these crazy chapters to your story that can be told again and again. Top spots to visit in Spain, and how to get the most out of your #holidayspam!